News and Police updates from around Scottsboro. 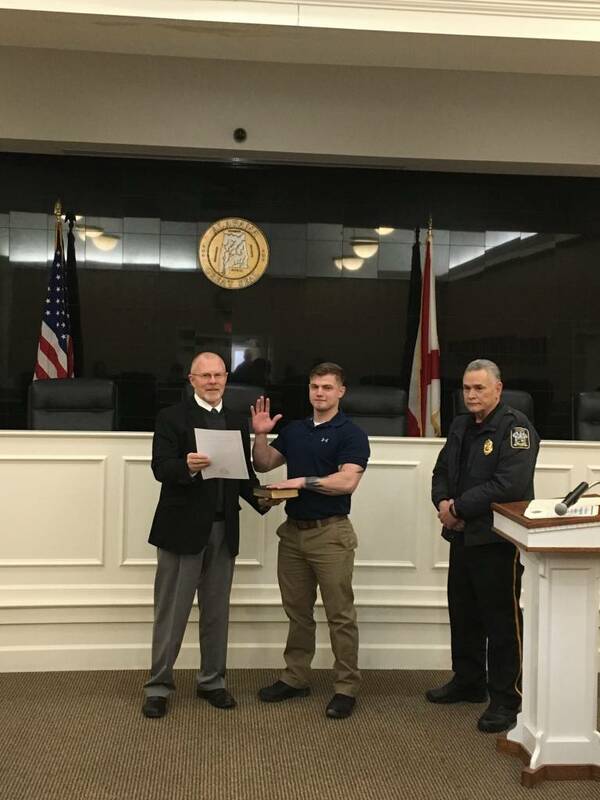 Scottsboro Police hired two recruits on March 4, 2019. Both have began training and will attend the police academy in April 2019. January 16, 2019 - The Scottsboro Police Department celebrated the retirement of three officers. Lieutenant Greg McGhee retired with 28 years of service. Officer Ann Cornelius retired with 27 years of service. Officer Tracey Kendrick retired with 25 years of service. 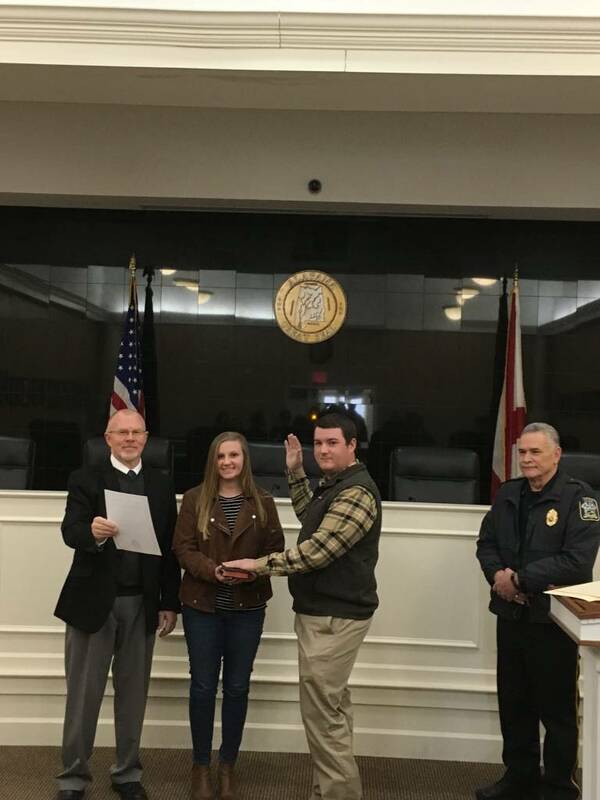 01/14/2019 - Several Officers with the Scottsboro Police Department are sworn in by District Judge Don Word as deputy sheriffs. The Scottsboro Police Department recently received a $1,000 check from Walmart, as part of the Walmart Giving program. Matt Lockmiller presented the check to Chief Dawe & Major Latimer. The funds will go toward the purchase of much needed equipment. December 14, 2018 - Chief Dawe and Major Latimer presented the annual department awards during the departments Christmas luncheon. Officer Parker Henegar received the "Chief's Award". This award is the departments top honor, that is chosen by Chief Dawe.